Have You Gotten a Table Yet for the Upcoming Book Festival? One Week Away! Tampa’s 5th Annual Book Festival & Author Awards is next week! Grab your table before they’re gone. Local businesses can also purchase a table to sell and market their products to attendees and writers! Contact us at richterpublishing@icloud.com to see if there are any tables left. 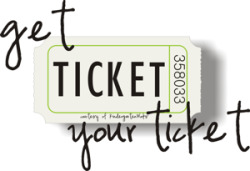 Comments Off on Have You Gotten a Table Yet for the Upcoming Book Festival? One Week Away! FINAL DAY to Submit Your Book for an Award at Richter Publishing’s Upcoming Book Festival! Tampa’s 5th Annual Book Festival & Author Awards is next month! Grab your table before they’re gone. Comments Off on FINAL DAY to Submit Your Book for an Award at Richter Publishing’s Upcoming Book Festival! Deadline is Approaching to Submit Your Book for an Award at Richter Publishing’s Upcoming Book Festival! Tampa’s 5th Annual Book Festival & Author Awards is coming up quick! Grab your table early before they’re gone. Comments Off on Deadline is Approaching to Submit Your Book for an Award at Richter Publishing’s Upcoming Book Festival! ASPIRING AUTHORS! Get a Seat at the Next Writing Seminar & A Chance to Win a FREE Publishing Contract! Only 2 left! Ready to write your book but no idea where to start? Already written a book but struggling to get it done? Looking for a chance to win a FREE publishing contract? This is your series! (Contract is a $6,000 value.) Our next event will be held next Tuesday, JUNE 26th, and you don’t want to miss it! For the first 30 minutes, Tara will cover a certain topic to help you with your manuscript. Afterward, we will break into certain groups where you can write silently or collaborate with other aspiring authors. Tara will also be available for private coaching during the night. Each session is $10, payable at the door. Sessions go from 5:30 -8:30 PM. They will be held at the The Kaizen Collaborative, located at 5215 W Laurel Street, Suite 110, Tampa, Florida 33607. Comments Off on ASPIRING AUTHORS! Get a Seat at the Next Writing Seminar & A Chance to Win a FREE Publishing Contract! Only 2 left! TAMPA AUTHORS! Have You Gotten a Table Yet for the Upcoming Author Awards and Book Gala?! 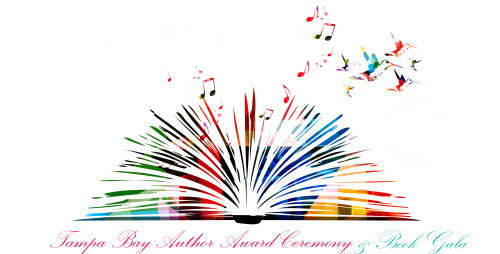 The 2018 Tampa’s 5th Annual Author Awards Ceremony & Book Gala is a few months away! Grab your table before they’re gone. It’ll be here before you know it. Network, promote and make a name for yourself in the Tampa publishing community. Local businesses can also purchase a table to sell and market their products to attendees and writers! Comments Off on TAMPA AUTHORS! Have You Gotten a Table Yet for the Upcoming Author Awards and Book Gala? !